The support systems from EXduro™ comprises of vertical hinges that are specially designed and fabricated to allow free adjustments. Angled spliced plates supports the riser system. 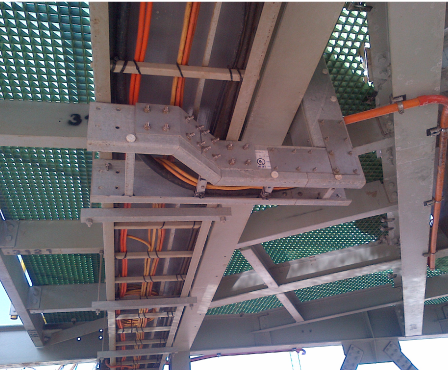 For ensuring immovability of the FRP ladder rung system and to avoid snagging, the edges of the support system are trimmed. EXduro™ employs unique methods of designing the beams to ensure that the support systems can endure loading capacity and cross section. To ensure that trays stay in the correct position, snap locks are utilised. EXduro™ support systems will not experience any permanent distortion or deflection and do not contain any halogen content. The Duro Strut® support system is made with the application of Treadwell’s anti-slip technology. This fastening method aids in connecting different channel framing accessories. In addition, they are interchangeable with almost all other support systems available in the market. 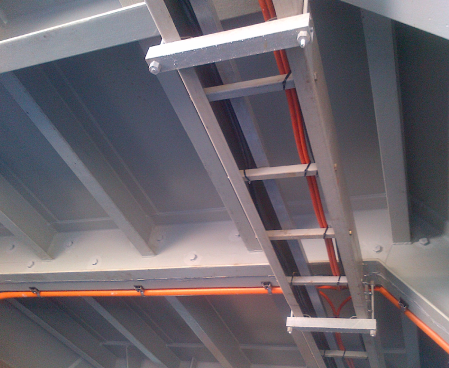 FRP is light in weight, non-metallic and easy to install with the use of the simple tools onsite. The additional instruments are easily fabricated and cut. The ceiling systems offered by EXduro™ is the ideal option when replacing metal counterparts. The installation process is cost effective and the fibreglass makes the stands more durable and reliable. The support system remains consistent in the most challenging of environments. The ceiling panels have intricate non corrosive properties, allowing them to be used on the most challenging of sites. Made of FRP, they do not corrode with humidity and moisture. Even though the mounts are light in weight, they are able to maintain rigidity. There is also no need to ever paint them. These mounts can be used in both electric and magnetic fields, since they have strong insulating properties and are radio frequency (RF) transparent.